BRAD MELTZER is the #1 New York Times bestselling author of The Escape Artist, The Inner Circle, and many other bestselling thrillers, as well as the "Ordinary People Change the World" series. He is also the host of the History Channel TV shows Brad Meltzer’s Decoded and Brad Meltzer’s Lost History, which he used to help find the missing 9/11 flag that the firefighters raised at Ground Zero. JOSH MENSCH is a New York Times bestselling author and documentary television producer with a focus on American history and culture. 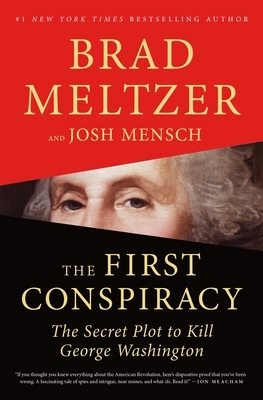 He is the coauthor with Brad Meltzer of the nonfiction history book The First Conspiracy: The Secret Plot to Kill George Washington. For television, Josh has written, produced and directed acclaimed series for PBS, The History Channel, National Geographic, Discovery and other networks. He lives in Brooklyn with his wife and two children.